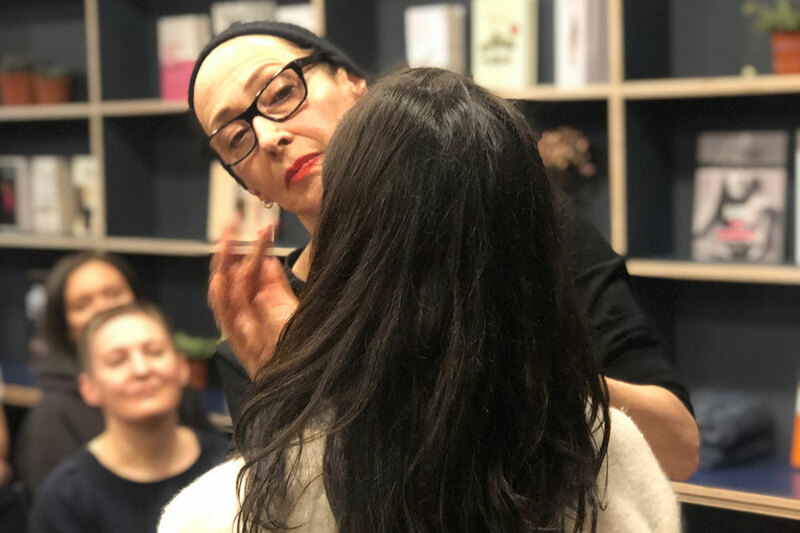 We were super happy to have Rose-Marie Swift of Rms Beauty join us for another masterclass in the soon to open events, reading & treatment rooms on the lower floor of our Marylebone store! 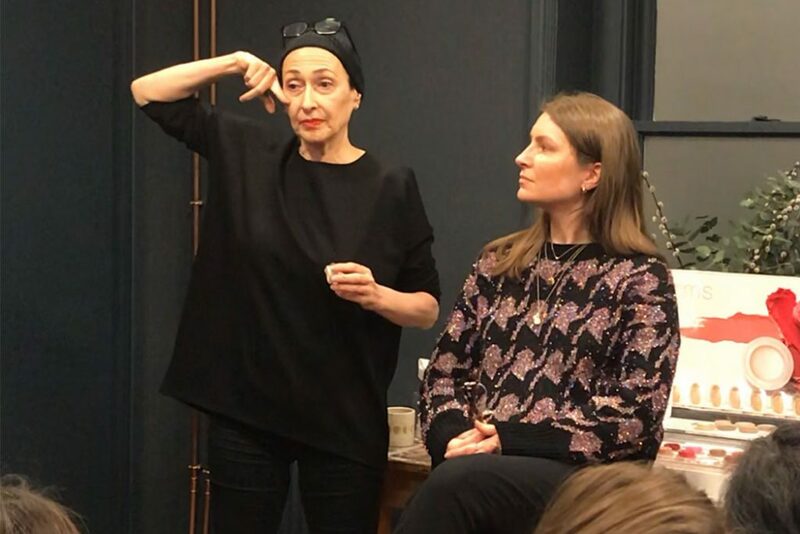 This was a fun and informative evening filled with makeup, conversation, laughter, tips & tricks from the very best in natural beauty, Rose-Marie. This completely raw virgin coconut oil is the ideal makeup remover. The Rms Beauty Raw Coconut Cream that hasn’t been heat treated which means it also maintains its natural levels of lauric and caprylic acid, of which it contains the highest levels second to breast milk. Rms Beauty Tip ❤️: Not only is it the ideal makeup remover, the Raw Coconut Cream can also be used for oil pulling in your mouth, moisturiser for your skin and hair, or for shaving, with antibacterial and antimicrobial benefits for a smooth shave. Use Rms Beauty Luminizers to highlight cheekbones, brow bones, inner corners of eyes and cupid’s bow for a natural looking glow. When using a product that reflects light, like these Luminizers, avoid applying them right at the top of your cheekbone near your eye because if the light catches here, it can look like you’re crying. Go from the corner of the iris of your eye (where the colour part is), and then apply one finger space down from here (see Rose-Marie’s demo in the image below). Rms Beauty Tip ❤️: You can actually try the Rms Beauty Eye Polish in Lunar or Solar as a highlighter – they work like a traditional highlighter by adding a little shimmer. Rub it in – the more you rub this product, the more it polishes up. 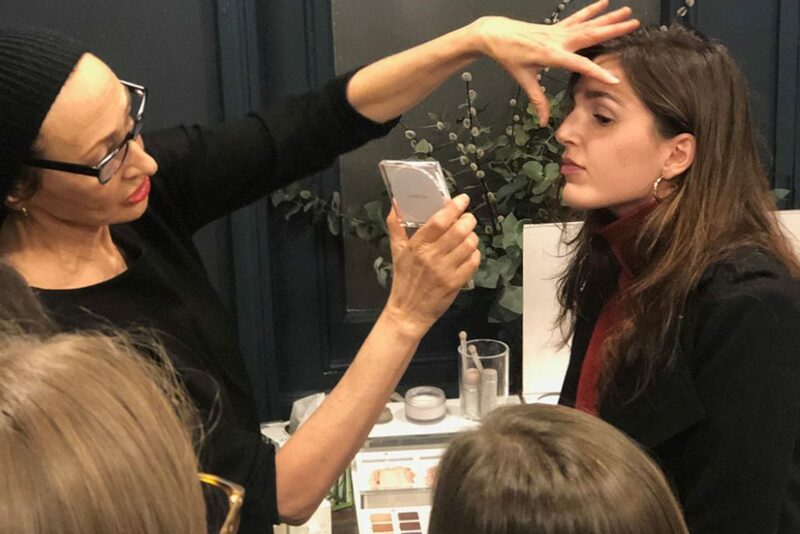 Rose-Marie believes “skin should look like skin” so with the Rms Beauty Uncover Up there is no need for a full face of foundation and actually the less the better. It will easily blend in with your skin to provide just the right amount of coverage, rather than just covering it up. If you prefer more coverage – for example if you have areas of redness, darkness or other discolouration – reapply in layers rather than using more product to begin with – light layers build up better coverage. For stronger coverage, Rose-Marie suggests you start by applying the Rms Beauty Uncover Up as above, then add a light layer of Rms Beauty Tinted Unpowder, and repeat this procedure until you reach your desired level of coverage. The powder puff included in the Tinted Unpowder compact ensures even coverage over your skin, which means the powder won’t cling to baby hairs and there is also less risk of breathing in the particles. Rms Beauty Tip ❤️: Avoid using flat foundation brushes. The Rms Beauty Foundation Brush will help to cover your entire face and will mimic the feel and effect of applying makeup with the tip of a finger. The new range of Rms Beauty Luminizing Powders can be used to gradually build a natural bronze, or to enhance the skin on your face or body wherever luminized skin is desired. The formulation is a moisturising powder that is available in 3 shades depending on your skin colour – Grande Dame, Midnight Hour and Madeira Bronzer. Rms Beauty Tip ❤️: Blend with the Rms Beauty Contour Bronze for a true, naturally sun-kissed glow. 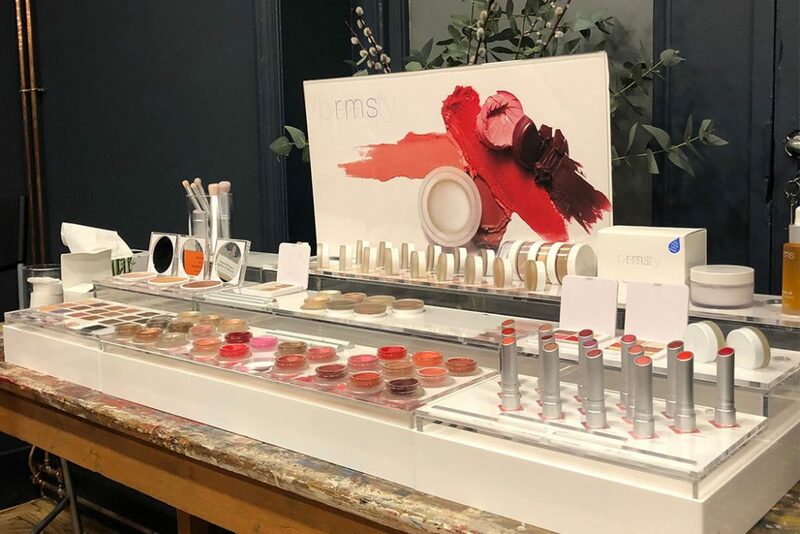 Shop the full Rms Beauty range online or in the London CONTENT store. We have a team of natural beauty experts instore available to give product recommendations based on your individual skin type and needs, as well as application tips for specific products.